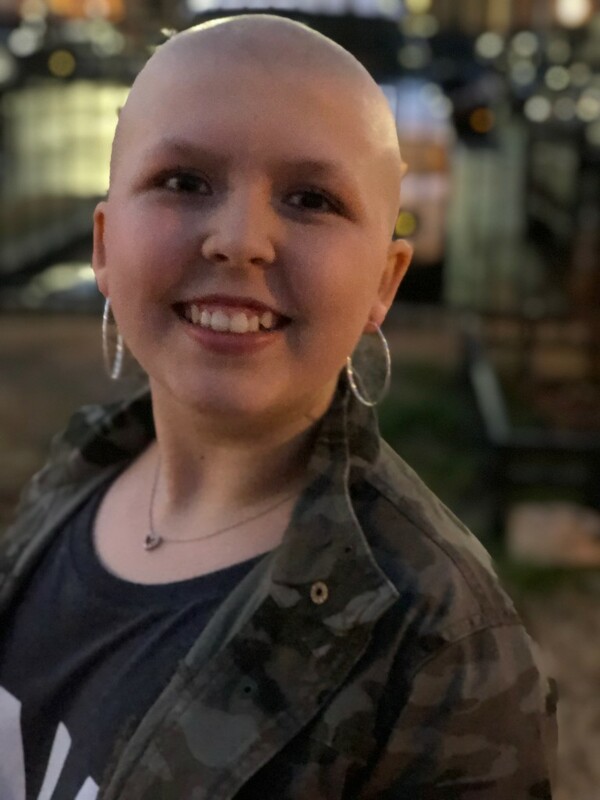 Meet Emma, a PBR-loving, supergirl cancer warrior currently fighting stage IV medulloblastoma. She enjoys arts and crafts of all kinds, cooking, playing games and making jewelry. She also loves circuit boards, making slime and loves to paint. 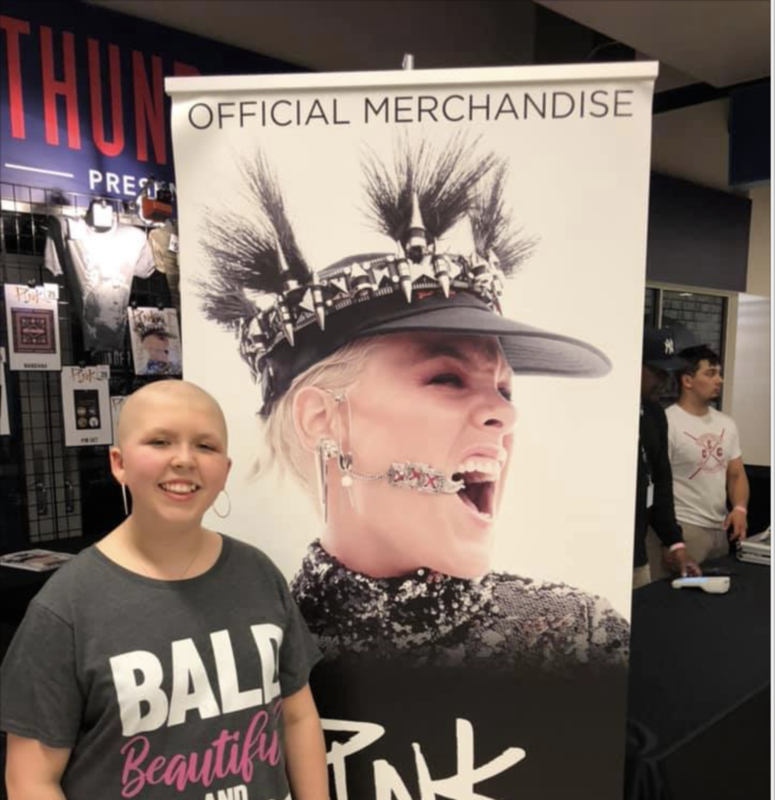 She is a huge P!nk fan and was lucky enough to see her live last weekend! In 2017, Emma was a straight-A student heading into sixth grade. As a 5th grader, she received ‘Student of the Month’ seven times. She was recognized for helping classmates, was on the honor roll, and a member of the student council. She was even a member of the robotics team for a year. Emma’s mother, Megan, said she was called several times throughout the school year because Emma was late for class. It turns out “she took too long hugging her former teachers and other students in the hall and was late,” recalls Megan. In May 2018, Emma began dropping weight. She started vomiting occasionally but nothing too alarming. She was increasingly lethargic, had no appetite and headaches had started. After one episode of violent vomiting, Megan took Emma to the doctor but without a pattern, the doctor thought it was puberty. After swimming one day, Emma told her mother she was exhausted, which was out of character. Megan received a call that weekend from Emma’s dad after Emma was found vomiting in her bed. Emma was taken to the emergency room twice in the same day. 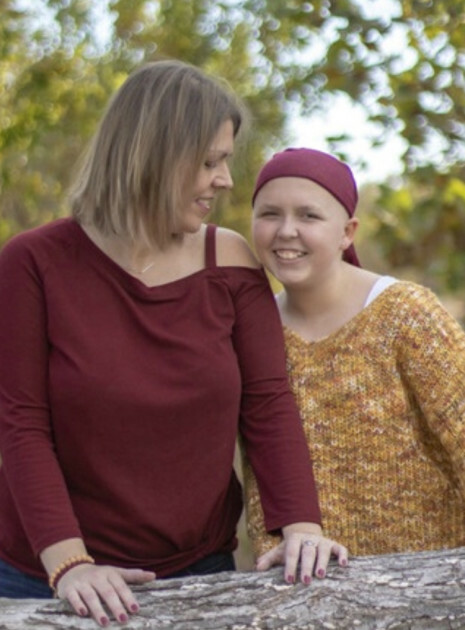 On the second trip to the ER, a CT was ordered and ten minutes later Emma and her mother were given the news of her Medulloblastoma cancer diagnosis. “We were just in shock. We are still in shock. I have three friends with kids who have brain tumors. Two have died, Emma thought she was dying,” remembers Megan. In the span of ten minutes, Emma’s life changed forever. 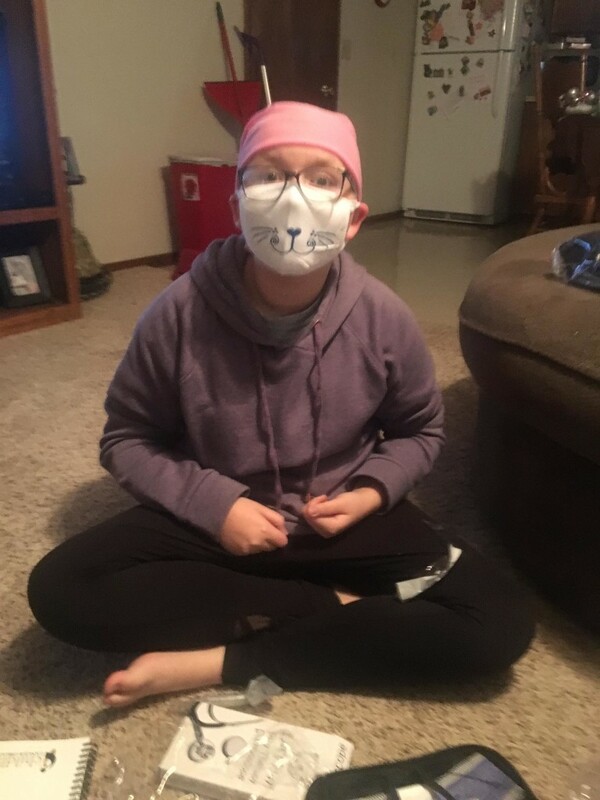 Megan said that the doctor said, “we see a mass, she is being flown to Oklahoma City.” It took a few minutes before I could catch my breath. I held Emma’s hand and I told her straight up. “Emma, the doctors say they see a tumor and we have to fly to Oklahoma City for another doctor to look at you.” Emma said, “Momma, I will be your angel, and when it is time for you to come, I will come get you.” Heartbreaking. Emma was transferred to OKC and admitted to the PICU where a shunt was placed and an MRI was performed two days later. The next day, the tumor was removed during her craniotomy. After a preliminary diagnosis of medulloblastoma that was believed to be cancerous, it was confirmed two days later. 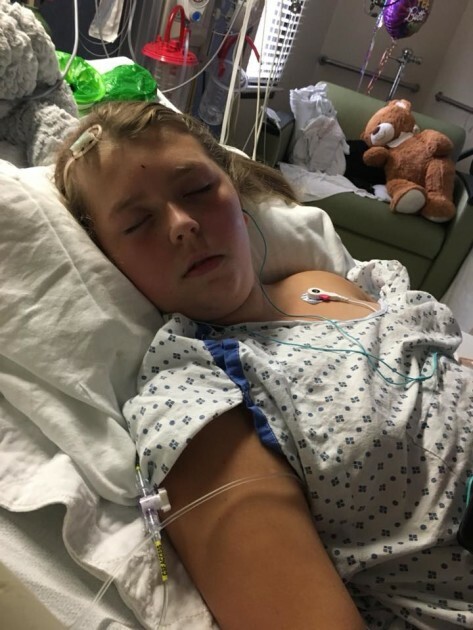 Treatment has consisted of a port placement, 30 proton therapy treatments, lumbar puncture, chemotherapy, MRI’s of the spine and head under general anesthesia, bone targeted therapies (BTT), bilateral tubes, and multiple hospitalizations. Since Emma’s tumor is so rare, she is currently in a trial where she gets 25% less chemo and proton therapy doses. She’s the only one participating in this study because of the rarity of the tumor. Her results will help to change the way cancer is treated. Getting through treatment has been hard on Emma. 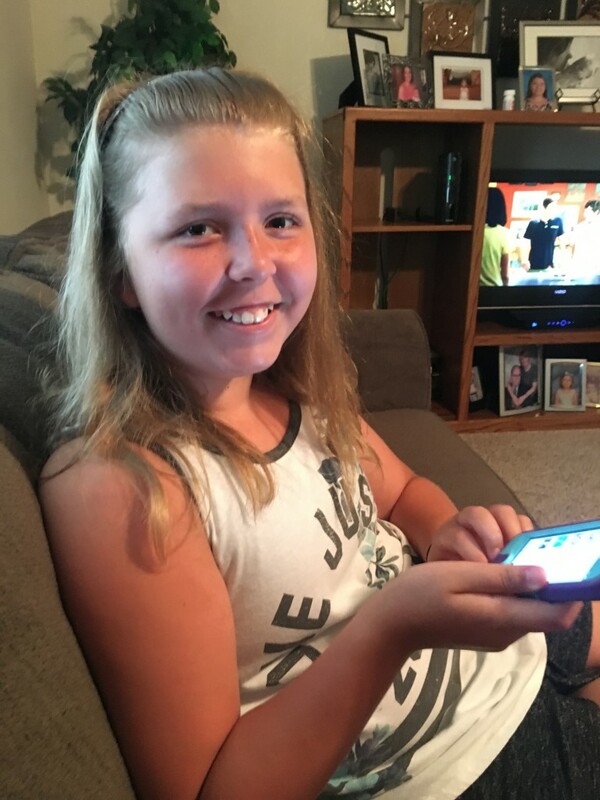 When she started treatment she was an outgoing sixth grader. Since losing her hair she’s become withdrawn from other children. Despite her difficulties she continues to work diligently on her school assignments and doing Epic Charter School. As a result of her diagnosis, Emma suffers from anxiety and depression, decreased fine motor skills and complete left sided deafness. However, Megan says, “She has finally embraced beauty and that it comes in lots of different ways. She is funny and spirited – and yet will lay in my lap and cry often at night.” Emma can be described as ornery, witty and a quick thinker – and her mom wouldn’t have it any other way.